8 Comments on Meet My New Best Friends…Yoga and Pilates! After deciding that my forte maybe no longer lies in gym based exercise, I have dedicated my time to making Pilates my new best friend. She and I now spend a lot of time together, catching up several times a week and as the days go by, we are getting to know each other on a whole new level. I have to be honest; I am much more comfortable when donning a pair of tight lycra leggings, a comfy vest top, and my hair screwed up into something that resembles a messy bun. Looking back now, it’s no wonder really. After literally spending every waking hour of my childhood in mirrored dance studios, the familiarities that surround me in a gym class make my soul feel completely and utterly at home. At the beginning of my recovery, it was a triumph for me to simply be able to walk around the block. Hard to believe now, but those baby steps have got me to where I am today. I’ll be honest, at the time, exercise used to scare me to death, due to the fact it could potentially induce a migraine. Now, for people that suffer from ANY sort of headache, whether it be tension related or migraine, I promise you that this is so much more powerful than any drug any doctor, or specialist can EVER give you! This is the stuff doctors should be subscribing for patients but it’s only through discovering that maybe drugs weren’t always the answer, that I went on a journey of self-healing which brought me to where I am today. So after discovering all the benefits yoga has given me, I was excited to see how Pilates would differ and what else it could offer me. I have to be honest; I didn’t expect it to be such a work out, but my god, how I was wrong! Back tracking slightly, Pilates had been suggested to me by my chiropractor after discovering that any gym based exercise resulted in a headache soon afterwards. He believes that I over use the weak muscles in my neck and shoulders to perform exercise (hence inducing a headache). So instead I need to strengthen my core and legs which will in turn naturally help me to switch off and stop me using those muscles in my neck and shoulders unnecessarily. Once again, what doctor could prescribe a drug that gives you all these results? For me, yoga and Pilates have now become a way of life. Just in the same way as you get up and brush your teeth each day no matter what, they are now embedded in my daily routine. 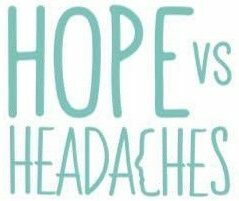 For anyone suffering with migraine or tension headaches, I am sure the health benefits of both these disciplines are so undeniably positive that I urge you to give it a go! I know we are all different and our triggers vary, but for me most of my headaches come from having forward head position (due to bad posture). An inspiring article, urging me to take on yoga from today..
I’ve always wanted to take on pilates, so glad to see that it’s helped you. Really great post!